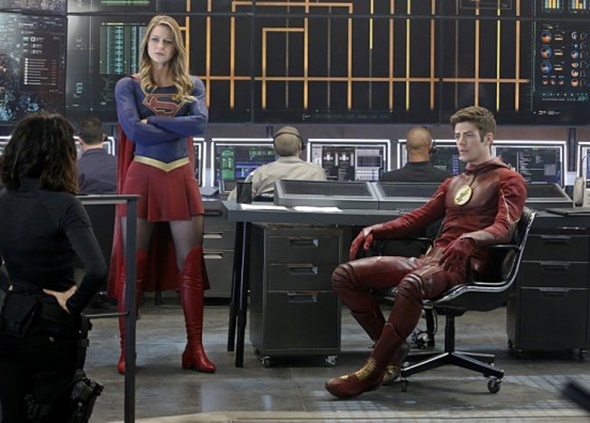 Supergirl will have a visit from The Flash later tonight on CBS, but fans of the series could soon see another star with a superhero past on the series. TV Line reported that Lynda Carter, from Wonder Woman fame, may soon appear on the series. She will not appear as her superhero character though. Greg Berlanti revealed that they could not work out Carter’s schedule for an appearance this season, but she will appear on Supergirl during season two. However, the network has not picked up Supergirl for a second season yet. It was not included in the renewal frenzy by the network on Friday. CBS renewed 11 series from its line-up. However, the network did not renew its freshman shows, including Limitless and Supergirl. Do you want to see Carter on Supergirl? Tell us what you think. We love the show. It was what we look forward to every Monday. Dissapointed it not on anymore. Supergirl should stay on. It is a great show. I watch it every Monday. Move it to the CW, It belongs with the other super hero shows. Come on….give the show a chance…. There are a lot of shows out there that didnt do too well first season…in past years.. But the development and creative team…and the writers…give this show a chance…give them a chance…get the special appearances in… Bring in Dean Cain… Come on… Just fly with it. Lynda Carter…whomever….lets go….. I love it! Yes it would be awesome to see Lynda Carter on the 2nd Season. Keep the show going!!!!! It’s the only one I watch religiously on MONDAY!!! Would be great if Lynda Carter appears on Supergirl if the series gets renewed for a second season. She’ll always be Wonder Woman forever.